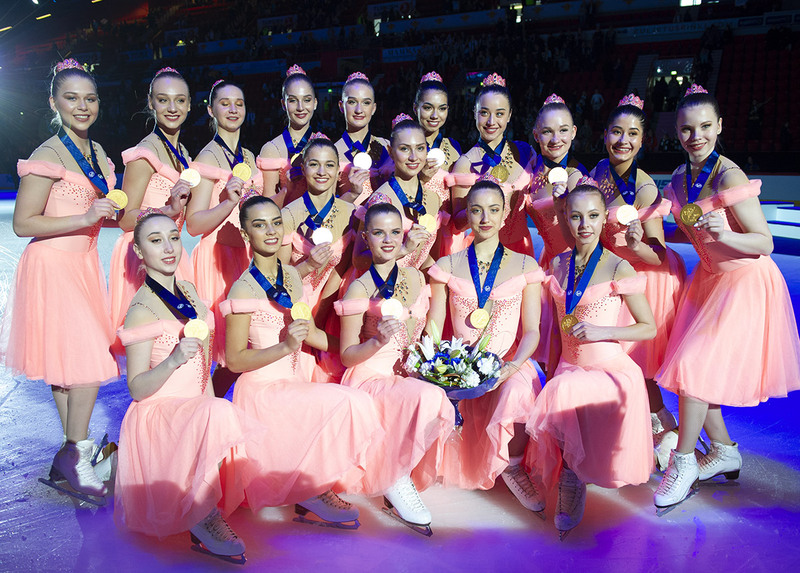 Canadian Vice-Champions will present their new programs this weekend in Sweden. After winning gold in the Netherlands in December, the team will be back in Europe for a few days. In a context of climate change, this is an opportunity to look into the project of this team that campaigns for the protection of orcas. Interview with Laurie Désilets, captain of Les Suprêmes Senior. Can you explain to us your project on British Columbia killer whales? This project started on social networks when a call was made to raise funds through the purchase of a bracelet to support the cause of protecting killer whales. Our involvement in this project was amplified when we listened to the official music video of Michael Jackson (the music of our short program - "Will you be there?") which is from the movie "Free Willy". We thought that this was the ideal opportunity to bring an even stronger message to our program, to propel it to another level and to make it even more memorable. So we all made the purchase of a bracelet to support the movement, and these donations were given to three different foundations dedicated to the protection of orcas. This problem is very important for us considering that the orcas living in the South are in danger of extinction. 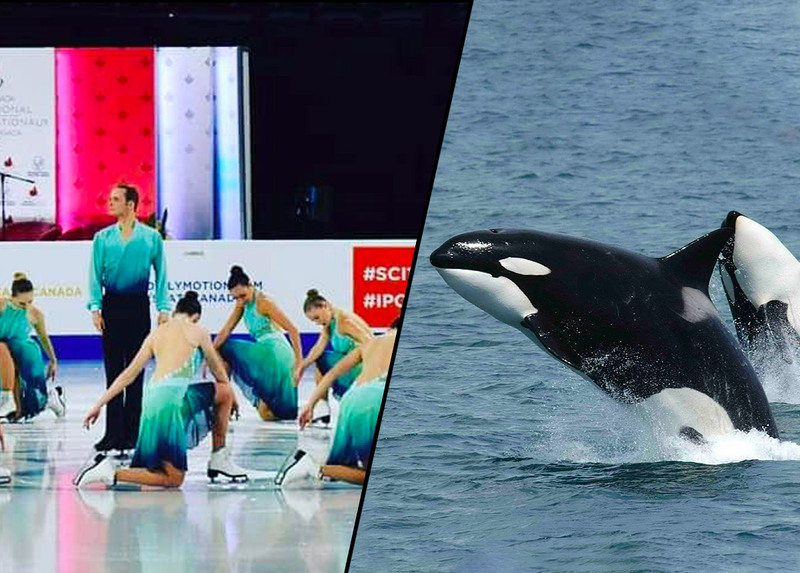 Just 75 orcas are alive today and this is a very sad reality. The lack of salmon in our ecosystem is one of the major reasons for this extinction and the human being is largely responsible. This cause really challenges us. It's a way for us to help save the planet. What can we do with the bracelets? The bracelets help support the #WeAreTheOrca movement and therefore support the associations that are involved in safeguarding Southern resident killer whales. Indeed, part of the purchase of the bracelets is divided between three organizations which have as objectives: to restore the wild salmon populations, to promote the protection and the conservation of the whales and the ecosystem of the sea through the education and research, as well as to facilitate the recovery of this killer whale population through non-invasive scientific studies, public awareness and education. Will it be possible to buy some bracelets during competitions? Unfortunately, our team do not sell bracelets. However, all those who are interested in knowing more about this very beautiful cause or who wish to get a bracelet can come to see us directly or write us a message on our Instagram account. We will be pleased to provide further information. Our free program is a story inspired by the movie "The Artist". This film won in 2011 six Oscars, including the best movie. The story plunges us into the world of black and white movies with the range of emotions that the lives of famous actors and actresses of that time provided. Why did you choose this idea for your free program? Our strength has always been in performance. We are generally known for entertaining, energetic and memorable programs. This year, you wanted to push our programs further by increasing our emotional commitment. We wanted to go for a more dramatic theme, while maintaining our theatrical side. The very rich range of emotions found in the film "The Artist" combines very well these two aspects that we wanted to project. We love our long program and we can not wait to present it to our next audience. More generally, after your great performance at the Lumière Cup in December, what are your goals for this season? 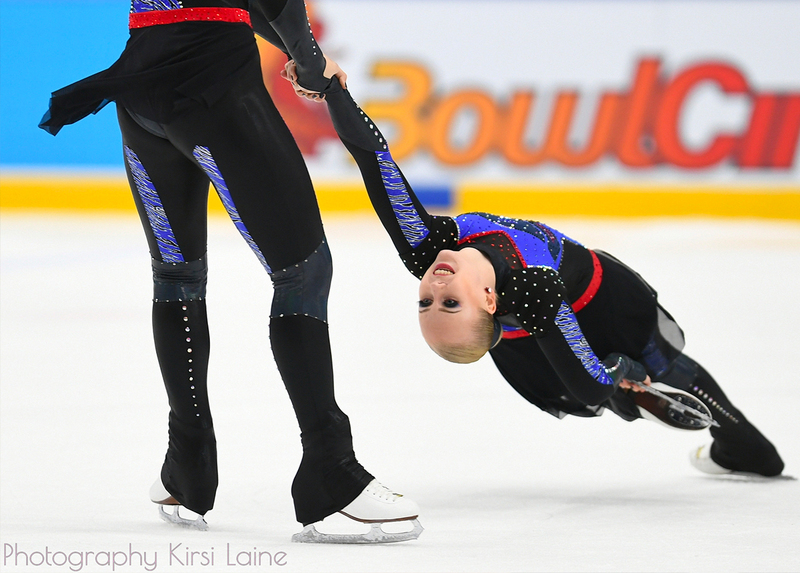 For this season our goals are mainly to improve our score from one competition to another, to skate at the level of what we are capable of doing, to present memorable programs as well as to improve our world ranking compared to last year. One of the novelties of your team is the arrival of two boys! Who are they? Our two boys are Peter Gerome and Edouard Tremblay. Peter is 24 years old, he is from France and he skated previously for Team Ex'L Ice. Edouard is 20 years old, he comes from St-Georges De Beauce, a region 3 hours from Montreal and he had never done synchronized skating. It was more like dancing. It's a novelty for us to have boys and we love them to be part of our team !! Les Suprêmes will compete at the Leon Lurje Trophy this weekend in Sweden. The Montreal team will compete against the biggest teams in the world such as Team Paradise (RUS), Haydenettes (USA), or Rockettes (FIN). The Canadians will then head to France to participate in the French Cup.